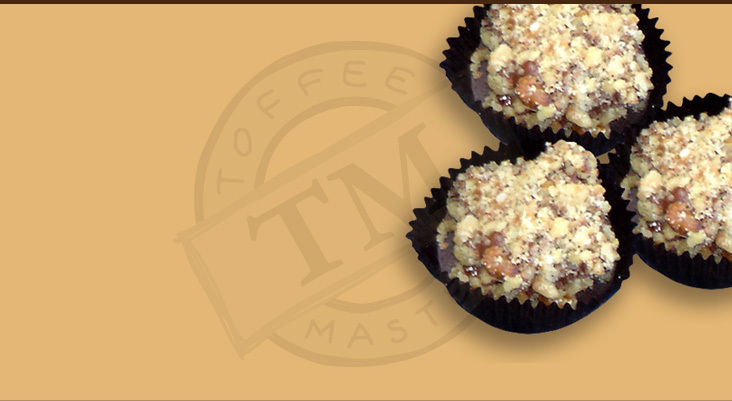 ToffeeMasters specializes in producing premium gourmet chocolate toffee. All of our toffee is made from scratch using only the finest chocolate and nuts available on the market today. We offer our product in several convenient sizes and packages. Our one pound box is ideal for customers who are trying our toffee for the first time or who are looking for a delicious unique gift. Our best-selling two pound package is preferred by many of our customers because of its value oriented price. You can order either online today.